Product prices and availability are accurate as of 2019-04-23 03:53:37 UTC and are subject to change. Any price and availability information displayed on http://www.amazon.com/ at the time of purchase will apply to the purchase of this product. 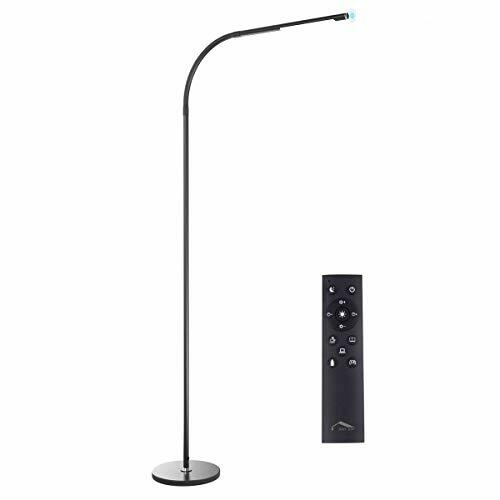 Joly Joy LED Floor Lamp -- Brighten dark corners and create instant ambiance! 1.Simple & Modern Design?Slim and lightweight metal stand, space-saving small size. 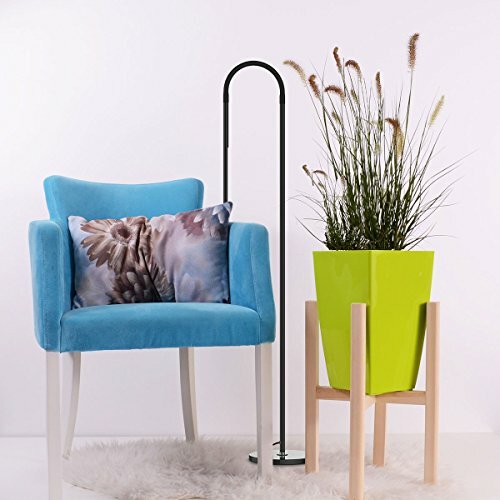 A perfect craft floor lamp suitable for lighting your seating, a lounge chair, living room, bedroom, office task or reading. The touch button is at the top of the lamp. Short press one time to turn on the light; Short press two times to turn off the light! The second long press to Lower the brightness. Stylish Decorate & Soft Illumination: The metal base and grit finish arm are accented with full black finish, add a contemporary touch to your decor. Prducing a soft and cozy ambient lighting and elegant style to your living room, study, bedroom or office lobby decor. Besides, with a very small profile, it could work well even in a tight corner. Dual Operation Modes--Touch or Remote Control. Let you enjoy the right mood for every occasion after a simple touch with speed and convenience(with a 33ft/10m range). It offers 5 Brightness Settings & 4 Color Temperatures up to 800 Lumens. 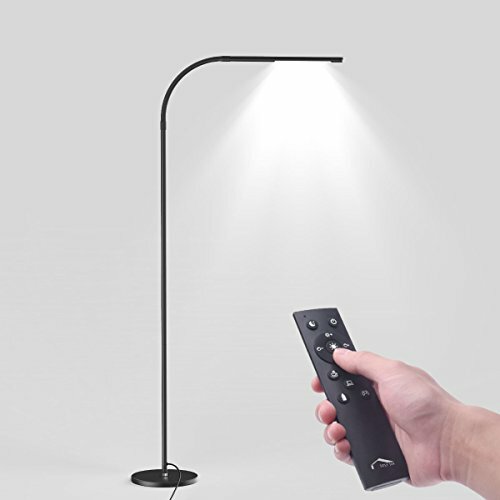 360 Degree Adjustable: With a flexible aluminium gooseneck, the arm can swivel 360 degrees, making it easier to aim light where it's most needed. The gooseneck designed with robust material to last for years! 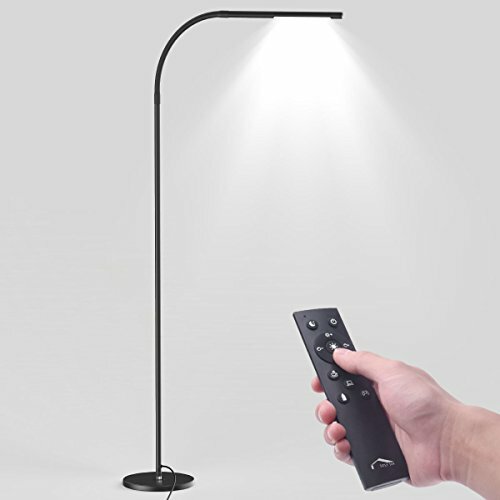 Heavy Base Ensures Stability: The floor light is tall and thin, stands on its own with a heavier base that keeps it stable and won't tip over easily. Meanwhile, thanks to the simple design you can move it easily and conveniently so that suitable for different lighting occasions 100% Satisfaction Guarantee - the black floor lamp comes with 12-month Warranty! We always stand behind our products,if any issues please feel free to email us. Our Customer Service are very pleasure to assist you to resolve any problems until your 100% satisfication!